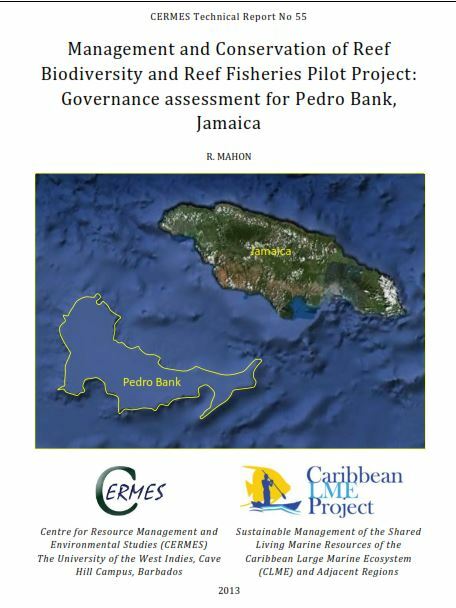 Abstract: Detailed assessments of governance architecture for the Pedro Bank. The purpose of the assessment carried out here is to dissect and display the suite of governance arrangements for the major governance issues identified for Pedro Bank in order to facilitate discussion among stakeholders. 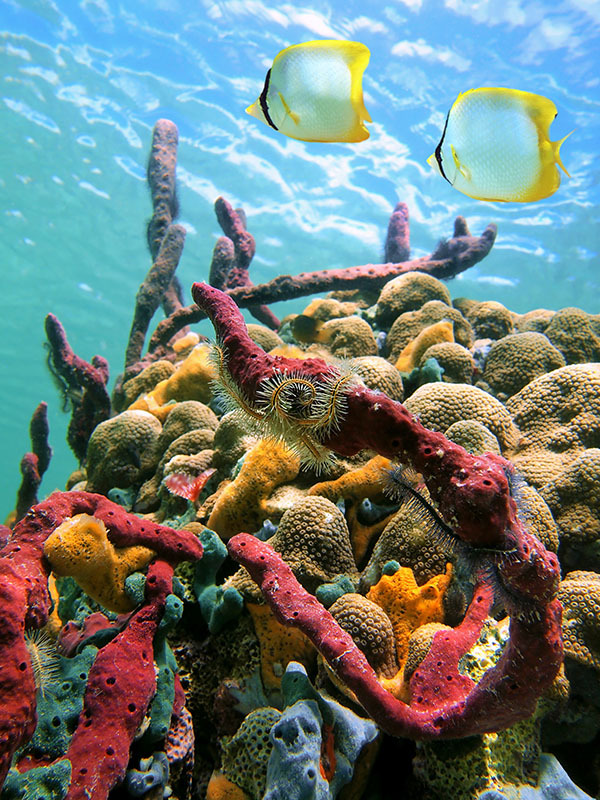 The area for the assessment was the entire Pedro Bank with an initial focus on the Pedro Cays where most human activity and impact occur. 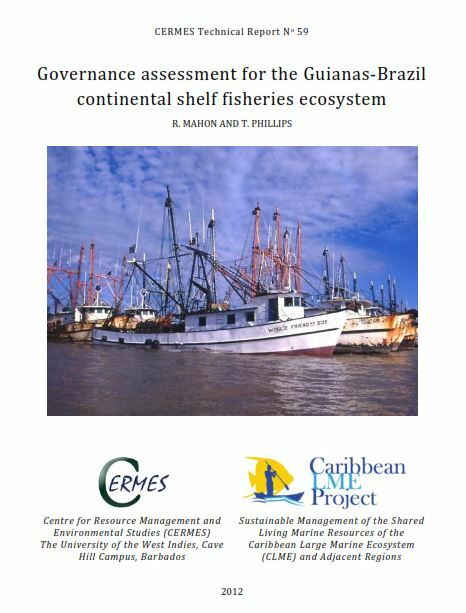 The assessment focuses on living marine resources and the requirement for an ecosystem approach to their sustainable use. 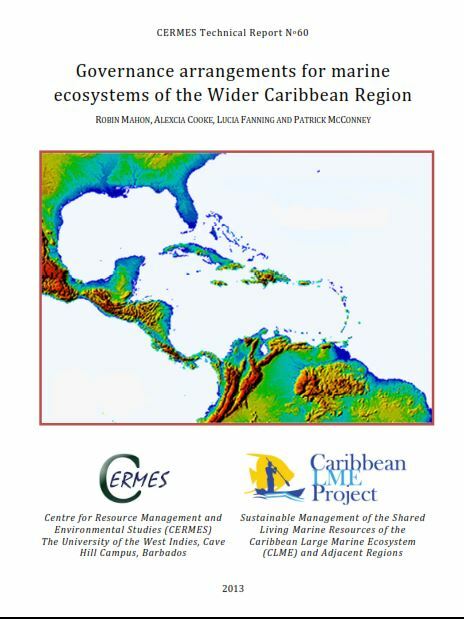 Abstract: The CLME Project includes a Regional Governance Framework (RGF) component that is aimed at analyzing the regional ocean governance situation in the Wider Caribbean Region and proposing an RGF as a basis for the Strategic Action Programme (SAP) that is a major output of the Project. 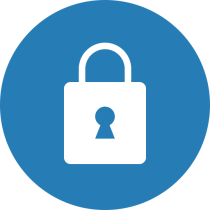 The RGF component of the CLME Project combines information drawn from the pilots and case studies with information from additional governance analyses at the level of the entire WCR and also with other studies conducted outside the CLME Project to develop a multi-scale, multilevel RGF. This report describes the work done and the RGF that has been proposed for the SAP. 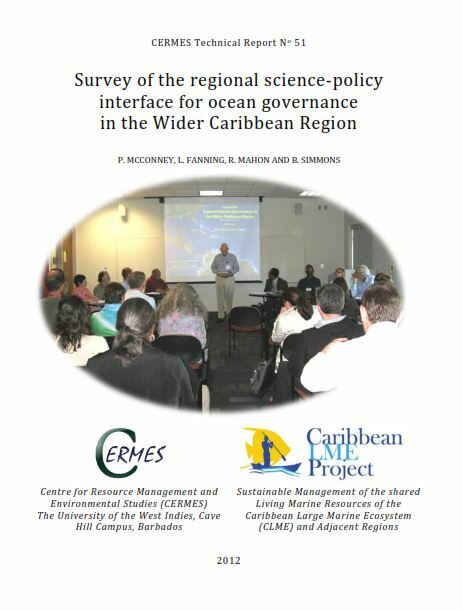 Abstract: This report, following a brief review of literature on the topic, describes the process and product of an interview investigation of the science-policy interface in the WCR conducted as part of the Regional Governance Framework (RGF) consultancy with the CLME project. 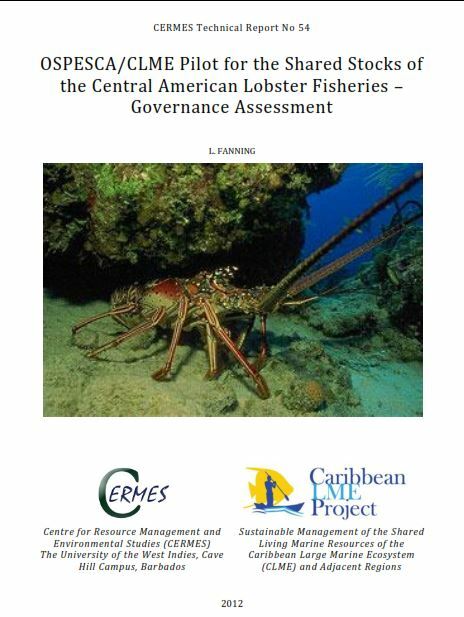 The report contributes to developing the RGF and formulating a Strategic Action Programme (SAP) as the next major stage of the CLME project. The target audiences are all CLME participants and interested parties. 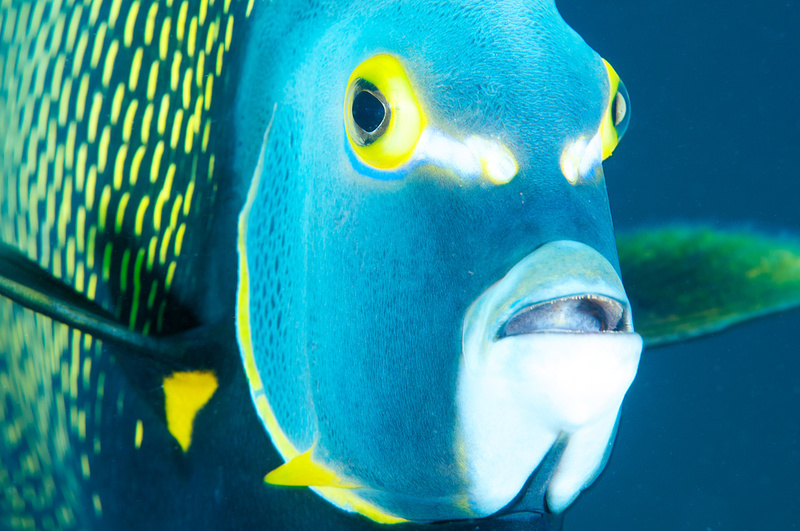 Findings should be of particular interest to those dealing with the Information Management System and Regional Environmental Monitoring Programme. 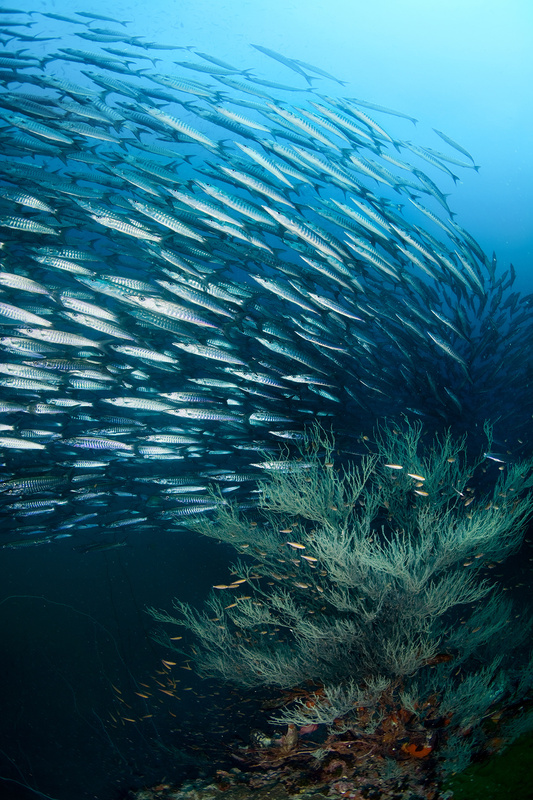 Twenty countries and four regional organisations were surveyed, resulting in 103 respondents from 73 interviews across the organizations and government ministries concerned with environment, fisheries, foreign affairs and tourism that were targeted.